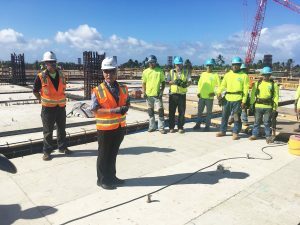 Work is continuing on the Kahului Airport Consolidated Rental Car facility on Maui. 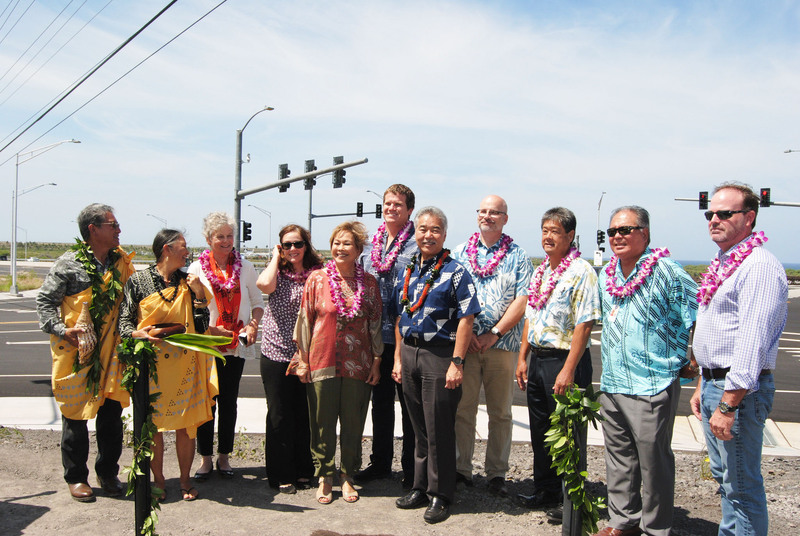 State, county and Goodfellow Bros. officials were all smiles at the Queen Ka’ahumanu Highway dedication on Hawai’i island. 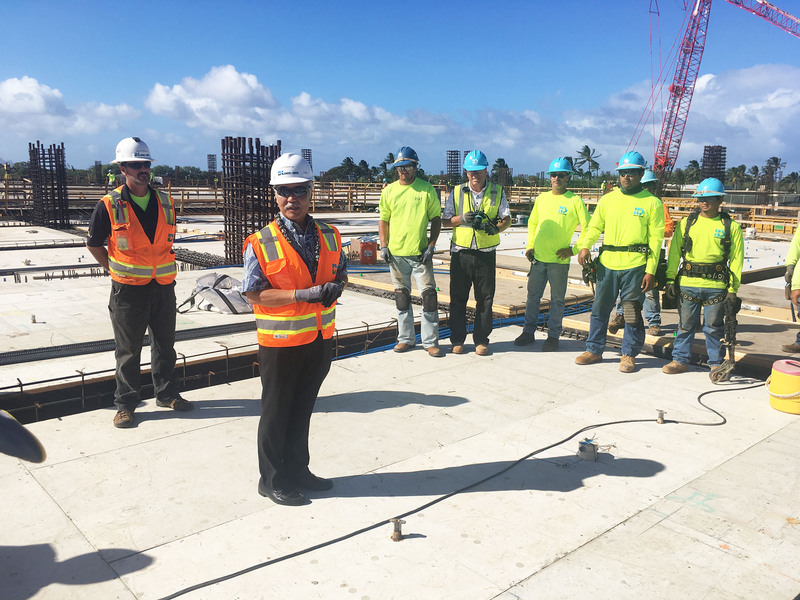 Progress on Kahului CONRAC, Diamond Head Concourse and Southwest Airlines – The Kahului Airport Consolidated Rental Car (CONRAC) facility is on track to open next year. Electric trams will transport arriving passengers to their vehicles, not fossil fuel buses. Long-awaited $1.1 billion improvements are proceeding at the Daniel K. Inouye’s Diamond Head Concourse. Also, new service is expected from Southwest Airlines, and overseas passengers have increased by more than 40 percent. HDOT focusing on safety and preservation of roads and bridges – HDOT has improved its system for repairing roads in the poorest condition, based on data and other factors. 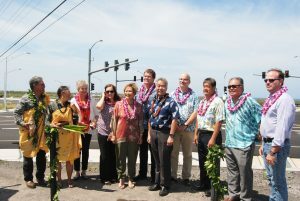 Because of its successful completion of projects, including phases of the Lahaina Bypass and Queen Ka‘ahumanu Highway, the federal government awarded HDOT an additional $41 million in 2017, another $20 million in 2018 as well as $90 million in emergency funding for flooding and Kīlauea volcano events. 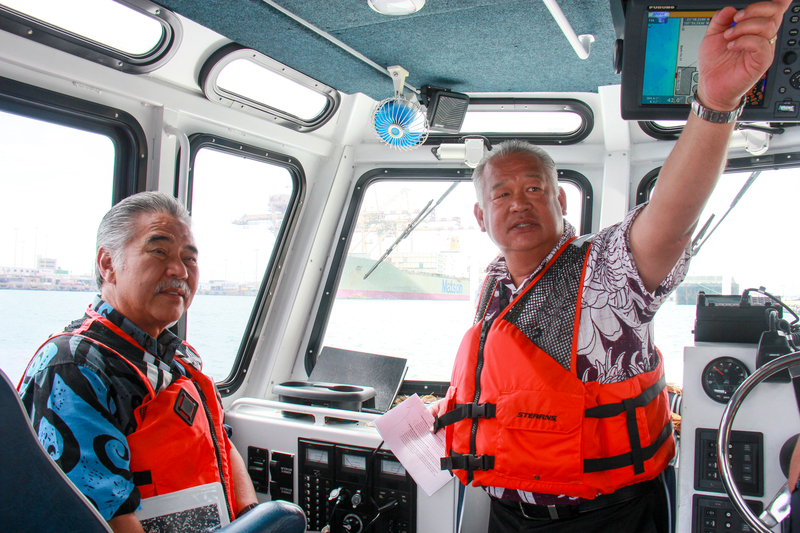 HDOT’s Darrell Young and the governor tour Honolulu Harbor. Harbor modernization supports resiliency – In March 2018, the U.S. Maritime Administration approved designating waterways between and around the Hawaiian islands as the Sen. Daniel Akaka Marine Highway. This helps the state’s commercial harbor system compete for federal funds to make needed improvements and build its emergency operating capacity.